Anglet is a little village near Biar­ritz, in France, but on the borders of Spain. It is supposed that its name, which is obviously English, was given because, during the Penin­sular War, many of the British wounded were sent over the frontier to this village; accord­ingly it was called Anglais, which has since become Anglet. It is now, per­haps, altogether apart from the Peninsular War, one of the most curiously - interest­ing places in all the world. The institution was founded in 1847 by L'Abbe Cestac, His object was to cause women to give up the temptations of speech and sight. 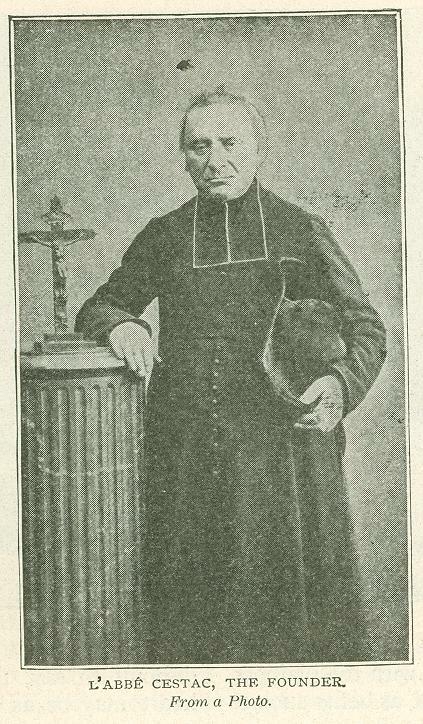 An old peasant farmer, who was brought in an almost dying state to the neighboring institution for female penitents, also founded by, Pere Cestac, begged that someone should look after his farm for him, Accordingly the Mother Superior and some of the penitents went to work in the fields, and in their religious fervor found that the silence and absence of distraction through seeing their fellow creatures, when toiling in this lonely spot, on the border of vast sand dunes, greatly conduced to spiritual elevation. The peasant farmer died, making Pere Cestac his heir. Here accordingly was an opportunity to lead a holy life, consecrated to God, of entire abstinence from use of the eyes (so far as looking at human beings is concerned), of the tongue, and from all curiosity. Sixteen cells, made and thatched with straw, only 7ft. 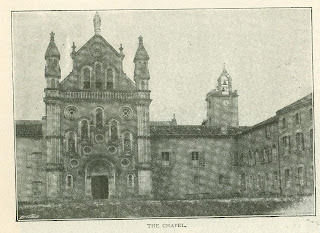 high, wide, and long, were the beginning of what is now an important conventual institution. Although these cells of straw have long disappeared, the absti­nence from speech, from looking, and from "curiosity" is maintained as strictly as ever. The first impression on visiting St. Bernard is surprising. You expect to see a convent, and find no appearance of conventual life. All around you only see various buildings suitable for agricultural purposes. Soon you begin to distinguish; The considerable size of the chapel indicates a religious community. Everywhere you notice women, none but women, dressed alike, and actively engaged in various kinds of work. Some are cultivating the fields; others are looking after the animals; some are at the forge; some are building. The cultivators undertake the hardest of work, in the open air; while others, in the workshops, provide the necessary implements. One of the first tasks of the Solitaires de St. Bernard was to fight against the general advance of the sand dunes which, driven by the prevailing northwest wind, threatened to overwhelm their fields. Pere Cestac acquired considerable territory of sand dunes, which the proprietors were only too glad to dispose of. Here the Solitaires made millions of sowings of the species of pine which flourishes in the neighborhood of the sea. They sowed thick, and covered up with bushes and branches, to the end that the wind should not blow the seed away. During long years the struggle continued; some sowing had to be repeated as many as sixteen times; but in the end the nuns conquered. Today a curtain of pine trees extends from east to west across the whole width of the territory, and the sands are stationary, the northwest wind having lost its power to move them. Dead, sterile land is now covered with dense, luxuriant, productive forest. In August, 1854, the Emperor and Empress of the French were at Biar­ritz, and visited the. Soli­taires de St. Bernard. Passing through the cloi­sters, the Emperor ex­pressed to Pere Cestac, the founder, his wish to see one of the cells, and that which they were then passing was at once thrown open. A Solitaire was seated on a wooden bench, with head bent over her sewing, her back turned to the door. She did not move. The Emperor asked to see her face. "My child,"­ said Pere Cestac, "the Emperor and Empress are at the door of your cell, and wish to see you. Uncover your face." The obedient nun put down her work, turned toward the door, and sank slowly on her knees. Throwing back her white hood she revealed an angelic face, of a girl about eighteen years of age, whose beauty was enhanced by a sacred seriousness of a soul devoted to Heaven. 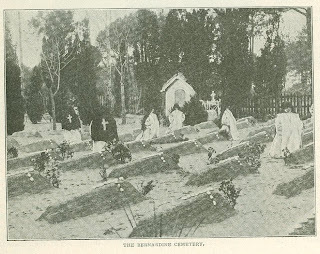 At this sight all present were moved to compassion, but the nun, kneeling motionless, her arms crossed over her breast, seemed devoid of all earthly sentiment, and, faithful to the rule of the Solitaires de St. Bernard, which requires that the functions of speech and sight shall be mortified, spoke no word and held her eyes upon the ground. 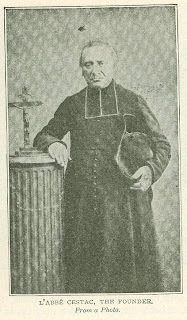 Pere Cestac was the first to break silence. "It is much, sire, to be face to face with an Emperor, and not even to raise the eyes." The Emperor acquiesced, and the nun, having received permis­sion, replaced her hood, kissed the floor of her cell, and resumed her seat and her interrupted work. The above is described from the book, "Vie du Serviteur de Marie L. E. Cestac." 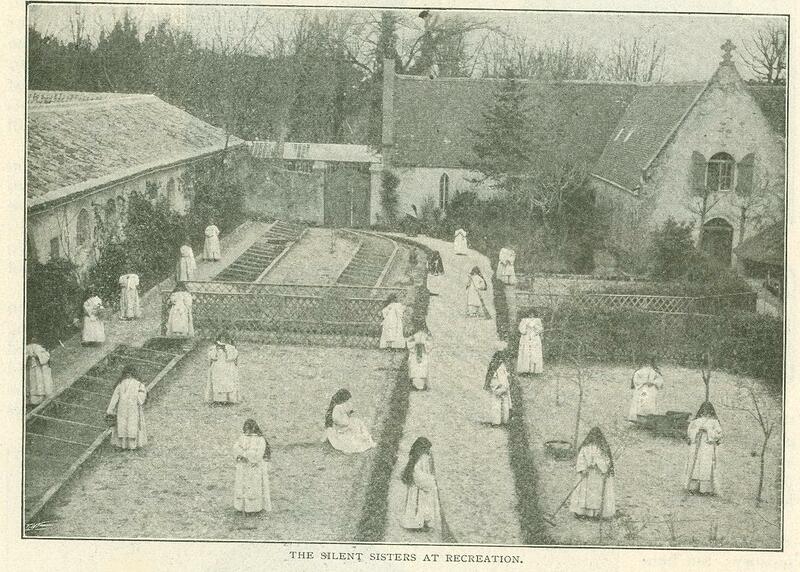 There are forty-five Silent Sisters at Anglet, housed in a sort of nunnery, with the plainest of tables and chairs and food, as befits such a renunciation of the luxuries of life. Three of them have been there for fifty­-three years, since the foundation of this extra­ordinary institution, and have kept silence during the whole of that time, excepting under two conditions which I will relate. Once a year the Bishop visits them and they are allowed to speak to him, and once a year to relations or friends who come to see them. They may confess to their priests. What sins any­one who never speaks to or sees another may commit it is difficult to say, though sins of thought and heart may be as deadly as those of word or deed. They confess to the priest once. a week. Then if they are ill, it is necessary to tell the doctor what their ailments are, but in that case the Lady Superior is always present. The terrible monotony of such an exist­ence is a also broken in this way;. that they are allowed to sing their prayers in chapel. With these exceptions their life is one of absolute silence. Some will, perhaps, not believe that they keep this vow; they work together in the gardens, or, according to their capacity, at embroidery in the Convent; it does seem almost incredible that women could work like that, year after year, without ever speak­ing a word to one another; but, after careful inquiries, I am able to say that the vow is kept with wonderful tenacity and religious fervor. One instance taken from L'Abbe Cestac's book is that two of the Silent Sisters lived together in practically the same room (it might almost be called a cell), only divided; by a partition, for no less than five years;­ they had never spoken to each other, they had never looked at each other. The elder one died, and she was laid out so that all the others who passed by could see her. When the woman who had lived at her side for five years came past the corpse she uttered a terrible cry of pain and sank to the ground. It was the dearest friend of her youth! The forty-five Silent Sisters of Anglet are many of them wealthy, and they have given up everything to the Convent; in more cases than one it is said two million francs, but the money is not all, or largely, spent upon the Silent Sisters. 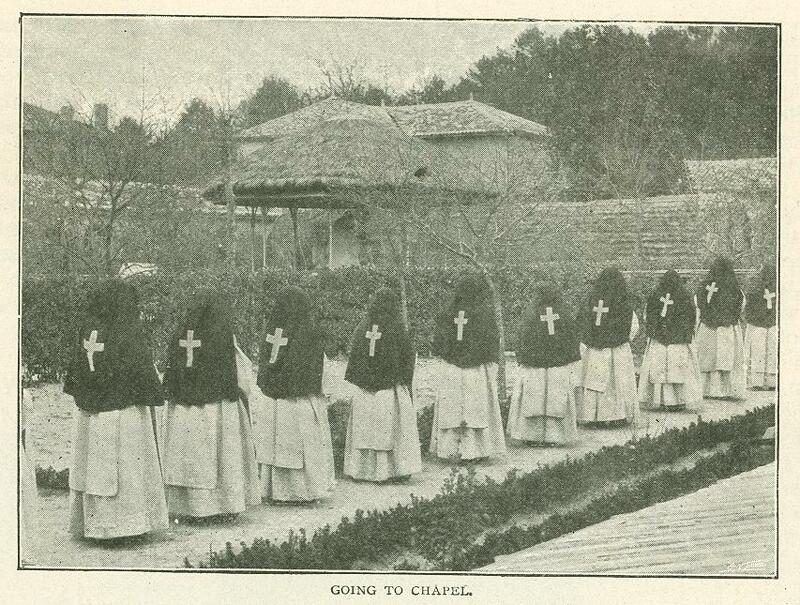 A few hundred yards away is another institution devoted to the reclaiming of fallen women-penitents, as they call them; and the Silent Sisters by giving up their dow­ries practically maintain that noble institution. Then, again, there is an Orphanage for about two hundred children, and the money of the Silent Sisters also goes there for endowment. 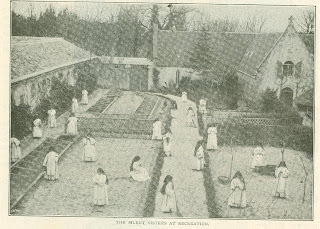 I witnessed the Sisters working in the garden, and although we were somewhat a large party not one of them raised their eyes to look at us. They were weeding and thinning-out among the plants. Curious it was to be told that there were three French and Spanish Duchesses among them at that work. Originally published in The Strand Magazine. July 1901.